APPLY FOR YOUR INSTANT CREDIT ONLINE @ 3wayauto.com or Call today @ (816) 690-6500 you can also SEE OUR INVENTORY @ 3WAYAUTO.COM GOOD CREDIT, BAD CREDIT, NO CREDIT, BANKRUPTCY, PAST REPOSSESSIONS, DR. BILLS IT DOESN'T MATTER, YOUR APPROVED WITH US!!! WE HAVE 100% GUARANTEED CREDIT APPROVAL FOR ALL CREDIT SITUATIONS. 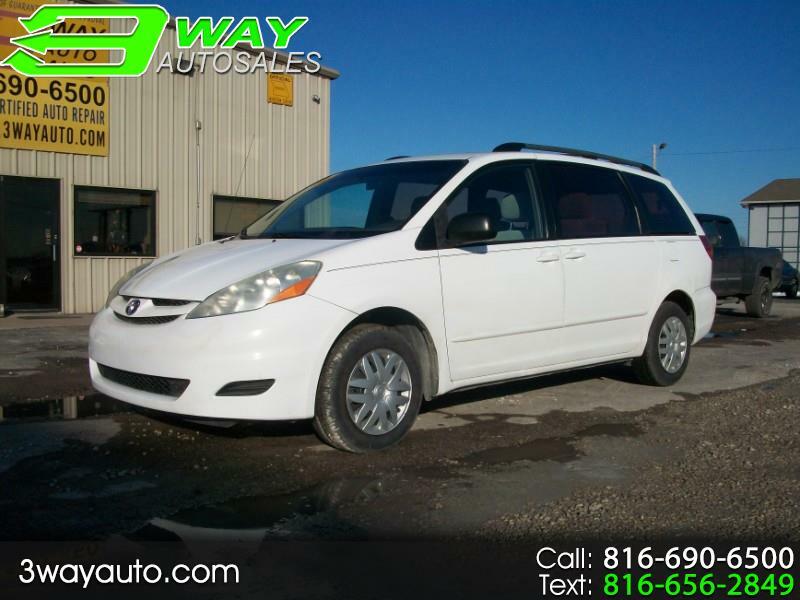 Visit 3 Way Auto online at www.3wayauto.com to see more pictures of this vehicle or call us at 816-690-6500 today to schedule your test drive.Down payments subject to change. Message: Thought you might be interested in this 2006 Toyota Sienna. All down payments and payments are subject to change and pre-approval.